The Chilean is out of contract at the end of the season and the Gunners are thought to be wanting to cash in on their star man this month. According to reports, Arsenal have been negotiating with Man City since Friday over the sale of Sanchez. Pep Guardiola has been informed that he must stump up £35m if he wants to take the 29-year-old to the Etihad Stadium. But he is hoping to around the £25m mark, but could meet the Gunners' demands just to avoid the same scenario which happened in the summer. The two clubs were in talks over a £60m move six months ago which fell through late in the day. But Goal now report that the deal is back on and sources close to Sanchez are confident of him becoming a City player soon. Sanchez was left out of the Arsenal squad which were humiliated in the FA Cup third round. The Gunners lost 4-2 to Championship outfit Nottingham Forest. 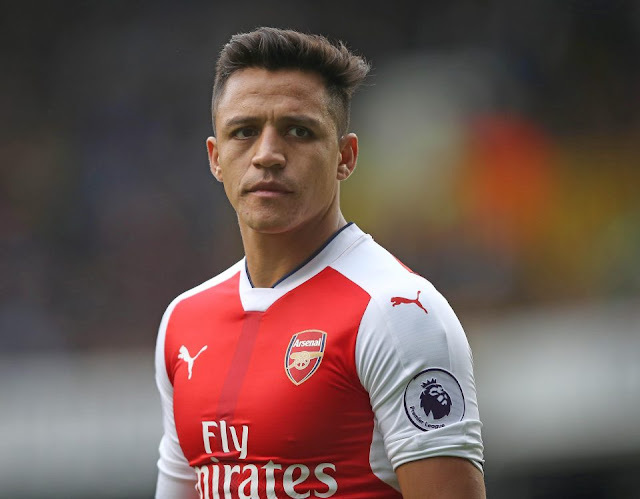 Once Sanchez's deal goes through he will be eligible to play in the Champions League, despite already playing in the Europa League this year. Arsenal would then turn their attentions to Mesut Ozil, who is also out of contract at the end of the season. They have yet to receive any interest in the German playmaker and Wenger is still hopeful of him penning a new deal. Jack Wilshere and Olivier Giroud also have six months left on their current deals.